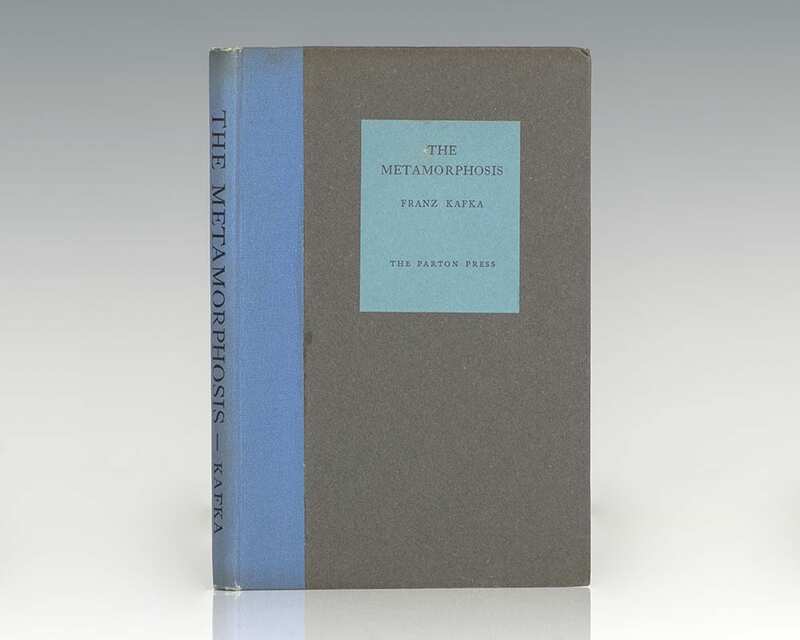 First edition in English of one of Franz Kafka’s most important works. Octavo, original half cloth, blue paper label to the front panel, with sections of the scarce original glassine. In near fine condition. Translated by A. L. Loyd. Housed in a custom clamshell box. An exceptional example. 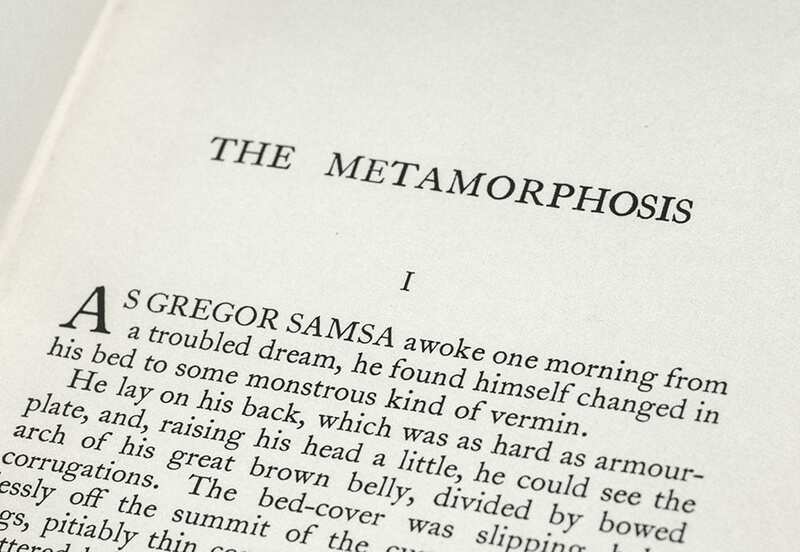 Initially published by Kafka himself in German in 1915, The Metamorphosis tells the story of salesman Gregor Samsa who wakes one morning to find himself inexplicably transformed into a huge insect. "While critics have interpreted this chilling story variously as a description of despair in a meaningless world, as a reaction to institutional authoritarianism, and as an expression of conflict between the author and his father, its power seems to rest in its resistance to explanation. W.H. Auden has said of it, 'Had one to name the author who comes nearest to bearing the same kind of relation to our age as Dante, Shakespeare and Goethe bore to theirs, Kafka would be the first one would think of" (New York Public Library's Books of the Century, 13). 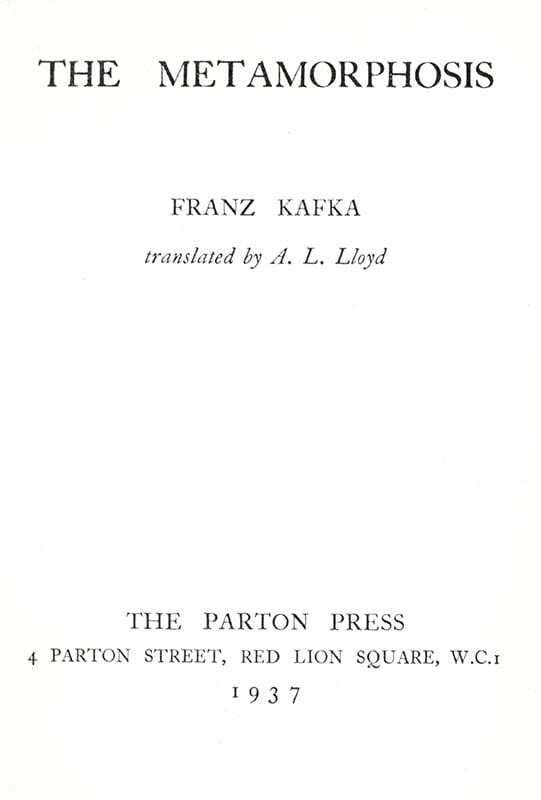 First edition in English of Kafka’s classic work. Octavo, original cloth. 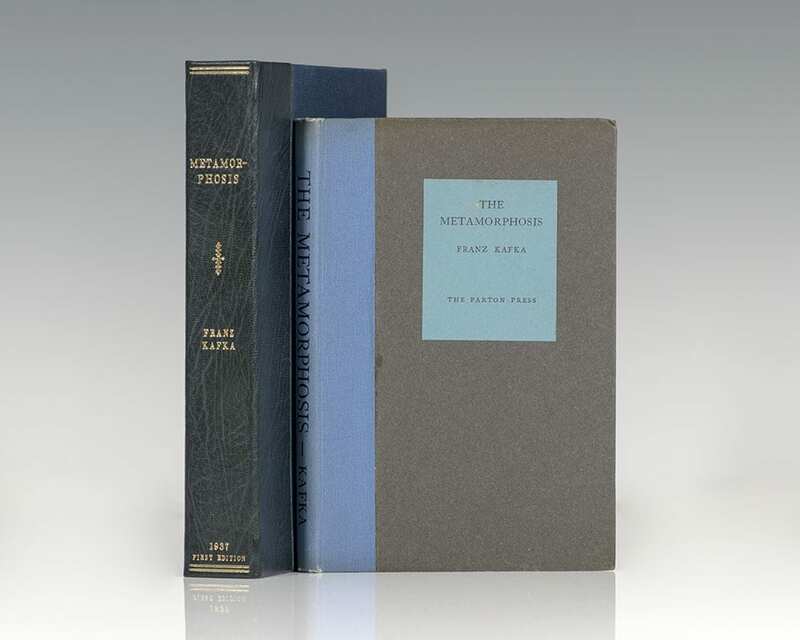 Near fine in a near fine price-clipped dust jacket. 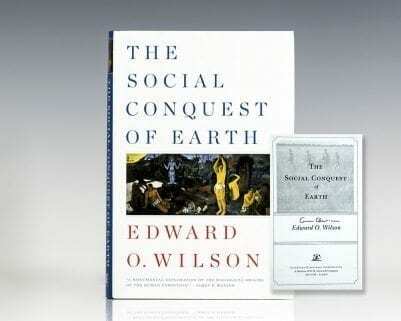 Translated by Edwin and Willa Muir. With an introduction by Edwin Muir. A superior example, scarce in this condition.